Happy 70th Anniversary-Parade of Homes! Since the 1940’s, the Metropolitan Builders Association has sparked the interest of potential home buyers, home builders and the general public of those who are interested in home decorating and design. This year’s event, showcasing 25 beautiful homes from 21 different builders at 3 different locations, will offer new must see home models with the latest trends in the industry. 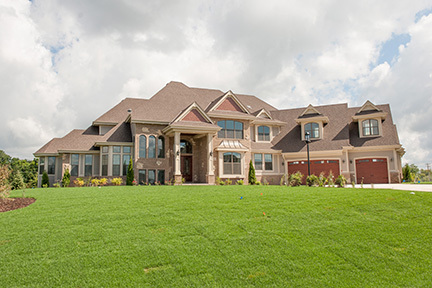 Presented by Nonn’s, this year’s Parade of Homes is sure to bring the wow factor with home designs from 21 of Southeastern Wisconsin’s top builders. Running through Labor Day weekend, attendees can expect to see new homes complete with the latest interior and exterior design trends, cutting edge technologies, and sustainable features. Top features to see, according to Joe Orendorf from the MBA, include LED lighting throughout the exterior and interior of the homes, illustrious ceilings as the ceiling has become known as the “fifth wall” in the design world, curb-less showers and more. Whether you’re buying/building a new home, looking to remodel, or are just looking for great ways to upgrade your current home, the parade of homes is an event you won’t want to miss! Open Monday- Friday 4pm-8 pm and 11 am- 5pm on weekends and Labor Day, you can view home models at Delafield, Pewaukee, and Menomonee Falls locations (click here for directions). If you or someone you know is interested in purchasing a home, please feel free to contact me to discuss your best financing options.